There was a time when Honda CR-V was considered as the king of all the SUVs in India and then came a new revolution and onslaught of many SUVs which pioneered the boundaries of innovation. 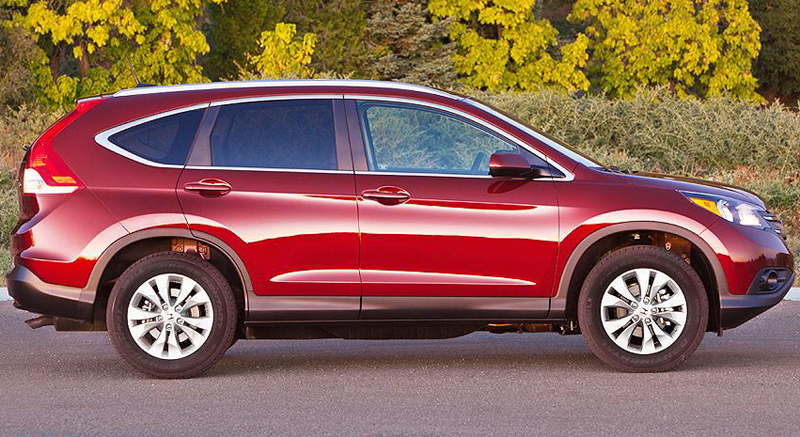 But the charm of Honda CR-V was never lost. Ever since the first model came into market, CR-V has been highly appreciated and acclaimed by the customers for its sleek looks and a powerful engine. But the only repercussion attached to CR-V was the fact that the liquid which boosted the engine of the mean machine was petrol whose prices are nowadays sky-rocketing. But those who trusted Honda and had the money to shell out on petrol went for this car. Then an upgraded model of CR-V was launched onto the Indian road which was also highly commended for its features and sleekest looks. Now comes perhaps the meanest version of CR-V with tough and sleek looks and high performance. Last year Thailand was struck by flash floods which halted the operations of Honda to a great extent and its manufacturing units in Japan also suffered due to many natural disasters which had hit the country last year. But Honda is not in a position to blame any calamity for its downfall and is hell-bent on winning back the throne. In USA, Ohio housed the manufacturing unit of Honda and now this plant has been shifted to Ontario, Canada where Honda plans to increase its production of its vehicles and launch CR-V on a grand scale in the global market. Earlier Marysville unit of Ohio was in charge of manufacturing Honda CR-V but then Honda seemed to consider launching the all new CR-V 2012 into the global market from Alliston, Ontario. With the opening of this new manufacturing unit, Honda plans to increase its manufacturing rate and sell its cars at a massive rate to customers as they are anticipating huge response for the new CR-V so that they can regain the foothold in the industry once again. The production units in Thailand were being authorized to supply electronic components and underbody parts to other manufacturing units all across the world but the operations were heavily rampaged by the typhoon last year. As a result, Honda’s sales reached to a rock-bottom level and even the market share of Honda in India fell to a great extent. India seems to be one of the prime zones where Honda has a stronghold but the operations to India also took a beating. Unfortunately Honda could not properly market its newest car Brio in the Indian market due to the halt in sales but now since Auto Expo 2012, Honda has grown optimistic and will be unveiling new CR-V 2012 in the Indian market as well. There is hype that the new upcoming CR-V will be powered by a diesel engine and this news is generating buzz amongst the potential buyers. Honda plans to launch 2012 CR-V across 160 countries to re-establish its foothold in the global automobile market.